South Lincs Sawmill is a company of contract mobile sawmillers with over 10 years experience, covering the East Midlands and East Anglia. Using the Peterson WPF, South Lincs Sawmill has the capability of producing over 6 cubic meters of sawn timber in a day. 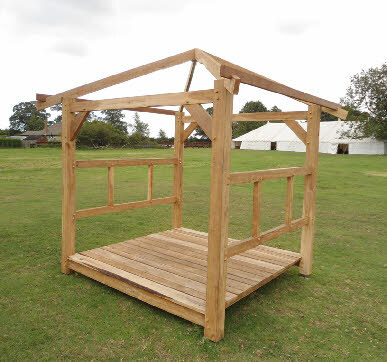 The company also specialises in garden structures including; Gazebos, Pergolas, Loggias & Car Ports in addition to Log Stores ranging from the basic log box to a bespoke oak framed store to enhance your home and garden. We can also carry out restoration projects; replacing, repairing or completely rebuilding wooden garden structures and other objects of interest. My personal attention is guaranteed from the initial enquiry through to completion, so give us a call today.